Looking For A Great RVing Group? Try Roadtreking. We often have customers inquire about good travel van or travel groups to join. One of them that I often recommend is Roadtreking (roadtreking.com) They have a genuinely informative website with tons of great information on everything from toilet paper to road trips, travel gear to fun gadgets, plus podcasts and more. And all of their content is timely and relative to Travel Van owners. I was on the Roadtreking site the other day and noticed that they’re planning a gathering especially for New and First Time owners — within the past two years. Because their gatherings tend to fill up so quickly, often times newbies never get the chance to sign up. Well, they’ve rectified that with a special invitation especially for first timers. Check out the three rallies planned for July, September and October, then contact them to make your reservation. Get all the details from Roadtreking at http://roadtreking.com/new-rv-owner/, but don’t wait long or you’ll miss out again. 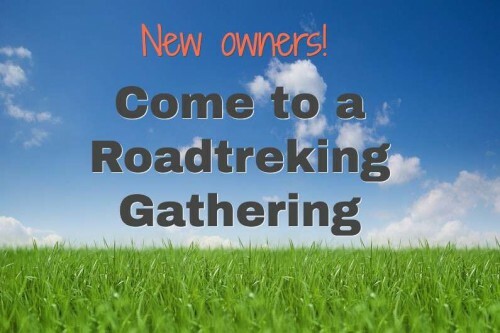 Come join our family at the Roadtreking Group Gatherings! 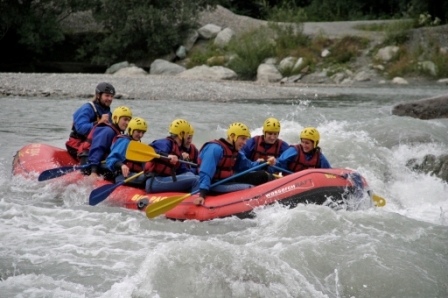 This July 9-13, make sure you meet us in Bryson City, NC for our Nantahala Wild River Adventure. We currently have six new attendee spot spots available. Join us for river rafting, hiking, zip lining, and all of the amazing views and fun that Great Smoky Mountain National Park has to offer! Click for Reservations and Details. Head down the river at the Nantahala Wild River Adventure! Take a special RVing trip when the leaves are just starting to turn and join us at Pog Lake Campground in Ontario, Canada for the Algonquin Provincial Park event. From September 10-14, you can enjoy plenty of hiking trails, take a canoe trips, rest at the sites, and eat an amazing catered dinner. But hurry, we’ve only got 3 spaces available! Click for Reservations and Details. 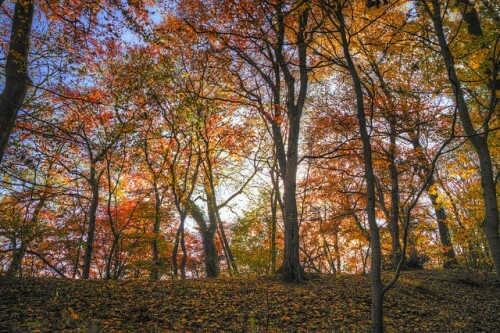 Enjoy the beautiful fall colors at Algonquin Provincial Park. For the ultimate cowboy experience, be sure to check our the Flying W Ranch event this October 11-15. Located in Cedar Point, Kansas, you can actually work on a real life cattle ranch. Ride horses, participate in a cattle drive, take a wagon ride, fish, hike, and more. With five photography passes and five cattle drive passes, this is a trip you will not want to miss. Click for Reservations and Details. Experience life in the West at Flying W Ranch! And before you head out to one of these gatherings, be sure to stop by and let Vantastic Vans give your travel van a once-over to ensure that your road trip is safe and uneventful, in a mechanical sort of way.